Instead of waking up to a pitch black room, you wake up with natural sunlight peaking through the window. With a floor to ceiling view, you get the entire full experience of sailing on the ocean. Watch out for dolphins or see the birds fly by – much better than looking through a small porthole or window. Free room service is available to all in any cabin, but for those in balcony, you can enjoy breakfast or any meal on your balcony. No need to worry about finding a table or getting food amongst the hungry crowd. Instead, stay in your pajamas, eat delectable food, and be treated like royalty. 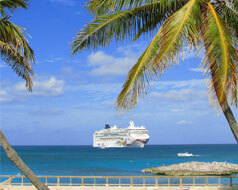 Some cruise lines may even offer upgraded amenities for a more comfortable room. Balcony staterooms have more space than any other stateroom, excluding the Suites. Whether you are using your stateroom just to sleep in or not, it’s always nice to be able to stretch out comfortably in your own space. Besides, it is what you will be calling home for the extent of your vacation. Avoid the crowded deck chairs and food court rooms and enjoy your space without a care in the world. When you just want to avoid the hustle and bustle up on deck but still want to be outside, your balcony cabin welcomes you with open arms. Sunbathe on your very own outdoor furniture or read a book without any disturbances. The balcony also gives you the perfect opportunity for romantic occasions. On your balcony, breathe in the fresh ocean air and take in the soothing, beautiful views as another perfect day passes by. Listen to the waves roll along while the sun sets and you cruise along to your next exciting port.